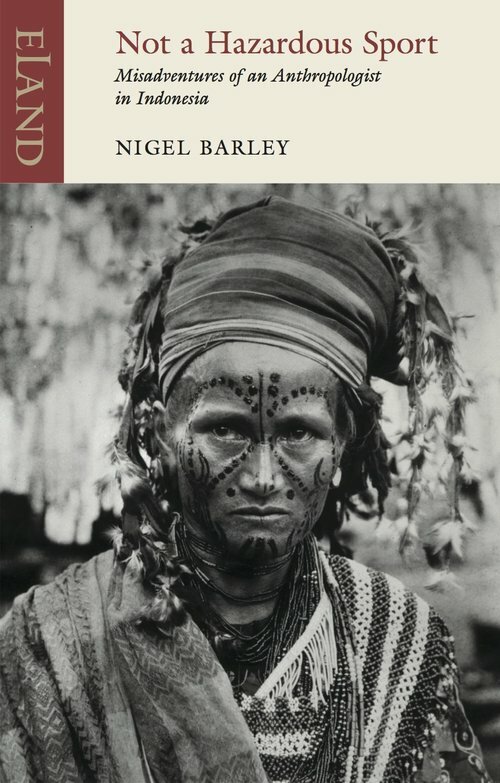 According to Nigel Barley’s insurance company, anthropology was not considered ‘a hazardous sport’. This was reassuring to know as the small print had been as unhelpful as ever. Whilst he now knew it wasn’t a sport that didn’t seem to make it any less hazardous given the number of drugs he had spread out in front of him. However, he now had it in black and white before setting off to Indonesia. He was heading to the island of Sulawesi to live amongst the Torajan people for the next few months and actually following the advice that he gave to students, that you should partake in fieldwork in places where the inhabitants are beautiful, friendly, where you would like the food. Landing at Jakarta airport he headed to the queue for those with no visa, having been assured by the embassy in London that he would not need one. The official behind the desk frowned, then grinned and he was waved through. Tired he heads to the hotel and settles down to sleep, but at 4.30 in the morning his peace is shattered by the call of the muezzin, as five mosques in the vicinity called the faithful to prayer. To reach where he was staying though would involve further travels by boat, but he finally arrives on the island where the Torajan live. Trying to understand the people he was with and what made them do certain things in a particular way and their own rituals lead to a series of amusing stories of his time on the island, the funniest of which was the antics when he was on a horse! In a nice touch and a touch of reverse anthropology, Barley invites four of the Torajan carvers to London to build a traditional rice barn at the Museum of Mankind. As you can imagine, the questions that they had about our society were as numerous as the questions that he had about theirs. Of the three of his that I have now read, I thought this was my favourite. Written with the same wit and self-deprecating humour as the others, you can see how his writing has strengthened over the three books too. This, along with The Innocent Anthropologist and A Plague of Caterpillars are a little more in depth than the regular travel books, but that doesn’t make them any less fascinating way of learning about another culture and people.